Many of us are trapped in our old, hardened eating patterns. In fact, we might not even be aware of the patterns, but we do know that 1) we’d like to get healthier or leaner; 2) we have a hard time making eating changes; 3) we don’t always know how to change. Those are good realizations! It means we have to humble ourselves, and find a way to put ourselves into an area of uncertainty and discomfort in order to change. Some common eating patterns that are difficult to change: Snacking on junk foodSugary drinks like sodas or Starbuck sugary coffee drinksBingeing in the eveningEating out a lot and making unhealthy choices, then regretting itNeeding comfort foods when you’re stressed or feeling downYou start drinking and then you eat like crap And more, of course. These are just some common examples. Do you have any of these? Are there others you aren’t aware of but that keep you locked into a less-than-healthy lifestyle? 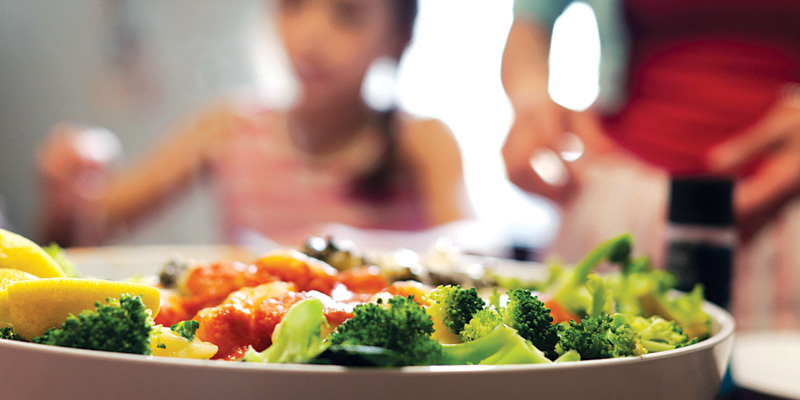 If you’re ready to make a change, let’s look at how to change our eating patterns. Before we look at how to change the patterns, let’s take a look at the common obstacles. Don’t get discouraged by this list! Changing is definitely possible, as my own life shows. I’ve changed my entire diet completely, and while I’m not perfect by any means, I have confidence in my ability to change my patterns if I want to. Being motivated by guilt, fear, regret: Studies show that these motivations are very common, and they don’t work well. Instead, change that sticks is motivated by a positive outlook and self-motivation. Vague or too many goals: If you have a specific plan, rather than “eating healthier,” that’s more likely to succeed. If you try to change too many things at once (exercise, diet, meditation, decluttering, procrastination! ), you’ll use up your limited energy and discipline. Depriving ourselves: If you are on a diet, and it feels like a sacrifice and deprivation, you won’t be able to stick to that for long. Instead, eat high-volume foods like vegetables and beans that fill you up and don’t leave you hungry, and eat indulgent but healthy foods like a few squares of dark chocolate, berries, relaxing tea, a glass of red wine. Make it feel like a wonderful lifestyle rather than self-flagellation. Not having practical ways to get there: It’s great to have a goal to lose weight, but how will you do it? Most people only have a vague idea of what to do, and it can be confusing. It’s best to have a practical plan. More in the next section. Too much choice & variety: If you go to a buffet and there’s a hundred delicious-looking foods there, you’ll probably overeat. The same is true at home or wherever we normally eat — if you always have lots of choices, with tempting varieties, you’ll probably overeat. But if you went somewhere where there was just one choice, and it was healthy, you’d probably do much better. Social eating: Eating out with friends or going to parties can make it difficult — mostly because of the above reason of too much choice and variety. But also because we’re not mindful of our choices when we’re talking to people, and also we might feel pressure to eat like everyone else instead of making healthy choices. Resistance to healthy foods: Lots of people don’t like vegetables. Or beans, raw nuts, whole grains. I know people who would rather die than eat brown rice, oats, kale or drink soymilk. This is a barrier to changing eating patterns. Not realizing your patterns: Many people aren’t really aware of what their eating patterns are. It can be hard to figure it out unless you’re forced to see it in the cold harsh light of day. Healthy eating is confusing: There’s a lot of advice out there, so many things to learn about. To combat that, pick a simple, whole-foods diet and just stick to a simple plan. Veggies, fruits, beans, nuts, whole grains. Drink water, tea, maybe a bit of red wine. Simple! Depending on willpower: If you have to stare donuts in the face, then French fries, then sumptuous dessert … you will run out of willpower. Instead, change your environment, and make things easy on yourself. It’s not convenient: When you’re hungry, tired, stress, or lonely … you’ll reach for what’s easy. Instead, get rid of the junk and have convenient snacks (I like hummus and carrots, and apples and raw nuts). You think it’s expensive: Healthy eating can be seen as super expensive. Actually, it can be even cheaper: try lentils! A lentil soup with potatoes or some brown rice is super cheap. Add some frozen green veggies and you have an incredibly healthy, simple meal for very little.